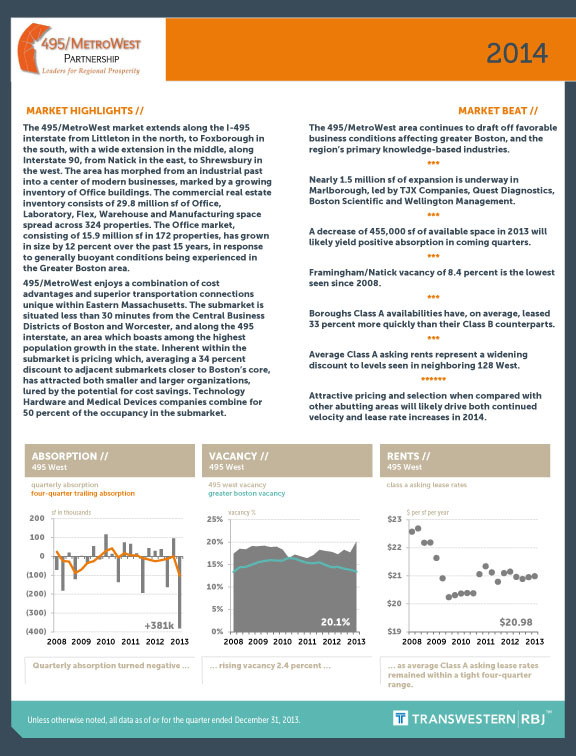 For the past few years, the Partnership has commissioned a report by Transwestern│RBJ analyzing the commercial real estate market in the 495/MetroWest Region. The report is an important tool in the Grow in 495/MetroWest initiative and we are happy to share this resource in support of our mission to advance the economic growth in our region. 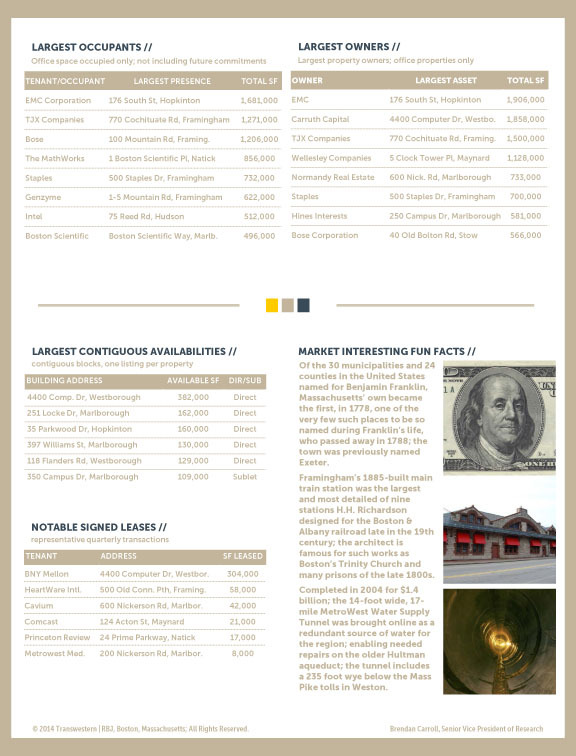 Click here for the 2013 Commercial Real Estate Report.